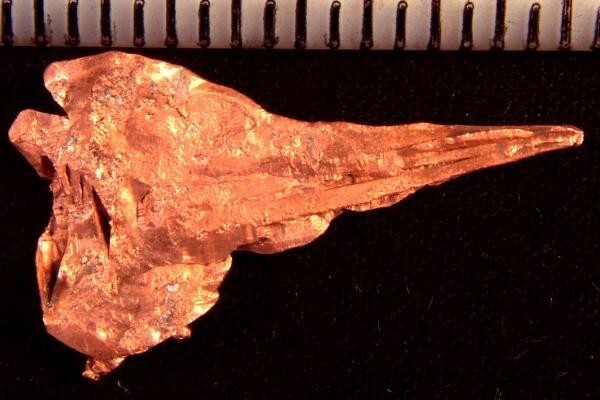 Can you see the woodpecker head in this natural copper crystal specimen? It comes from Dzhezkazgan in Karaganda Oblast, Khazakhstan. Check out the fluting on the woodpeckers beak. Amazing! It is extremely rare to find these copper crystal specimens in such distinct shapes. I have the largest collection of them that I have ever seen. Add some of these wonderful copper specimens to your collection. 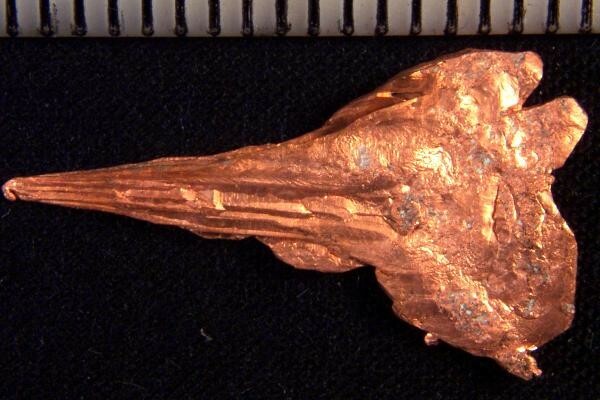 This size of this rare copper crystal specimen is 1.1" (27 mm) long and it weighs 32.5 Grains (2.11 Gram).